Click on the image below to view a video revealing a large group of college students caught cheating on an exam. To hear video, please turn off the music playing on this page by clicking on the mute button over to the left. 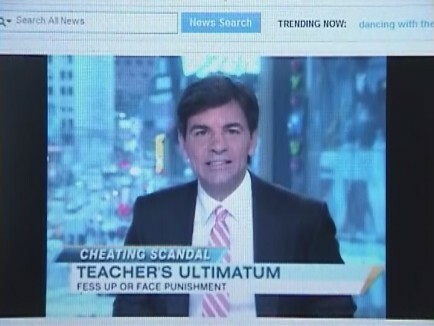 I wonder how many of these dishonest students attend a large church like Bayside? 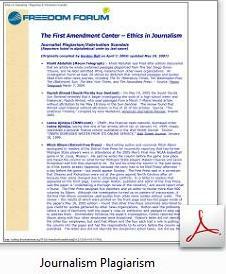 Click on the image above to discover many more who have plagiarized others. Many quit their jobs and many were fired. 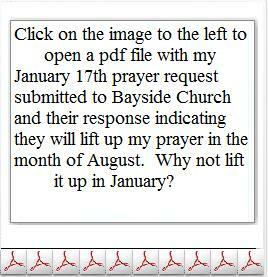 Below is a January 12, 2010 letter Pastor Ray Johnston sent by email to the members of the Bayside Church. 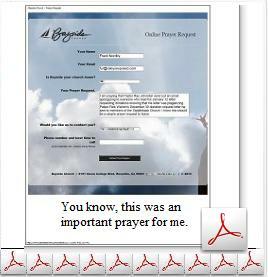 Click on the image below to read his letter and then read the December 30, 09 letter below his that Pastor Rick Warren sent to the members of the Saddleback Church. 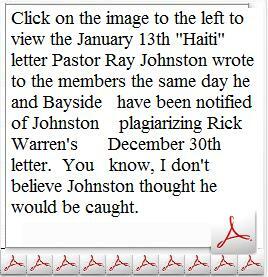 Johnston plagiarized Warren's letter. You have to wonder how many times Johnston has resorted to plagiarizing other people's material. This is the kind of deceitful dishonesty going on in the Church today. 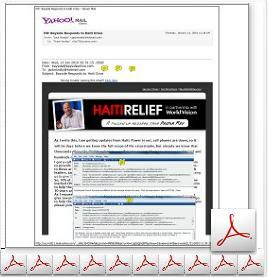 Was Pastor Johnston really seeking out necessary funds for the Church or was Pastor Johnston using Warren's letter because it was so successful for Warren in raising money at the Saddleback Church and thought why not use it for easily raising money for Bayside? What should be understood by this kind of dishonest act by Johnston is that Bayside Church is a business operated by business people. Can you imagine Jesus plagiarizing his "Sermon on the mount" and other sermons he gave? This would have been a great addtion to his sermon: Blessed are they whose heart isn't smothered by guile and can rejoice in honesty and everlasting truth. Where your guile is, there your ill-gotten gains will also be. Please excuse my animation below. I just like adding visuals to break the boredom still images have. In my opinion Ray Johnston probably could have written his January 12th letter on January 1st because he knew at that time what the Church's finances were and if additional funds were needed. That's if the Church really needed the funds. 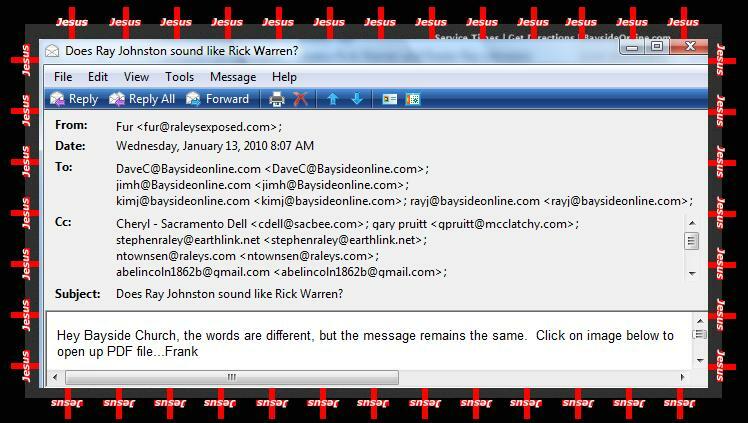 But he had to wait for enough time to pass in order to use Rick Warren's successful donation plea letter written back on December 30th, otherwise he feared someone would connect the two letters-in which I did because I saw Johnston's January 12th letter pleading for money and was aware of the news publicity Warren received from his pleading for money and so I went to the Saddleback Church's website to see Warren's letter---and low and behold "bingo." Before Ray Johnston had a chance to start counting the money coming in from Tuesday's night donation plea, he is being exposed early Wednesday morning as seen below. I am starting to believe life isn't fair! 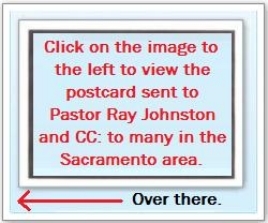 The Google map above shows where Ray Johnston and Bill Coyne attend church. This is the kind of church worldly fraud Chuck Collings would probably love to attend.